Thank you to all who made our 2018 National Conference a success. The opportunity to teach, learn, network, and share best practices with financial aid professionals from across the nation continues to make this a premier event for the financial aid community. Need a recap? Attendees & NASFAA Members can download Session Handouts. Congratulate this year's award recipients. Save the date for next year's NASFAA National Conference - June 24-27, 2019 in Orlando, FL. 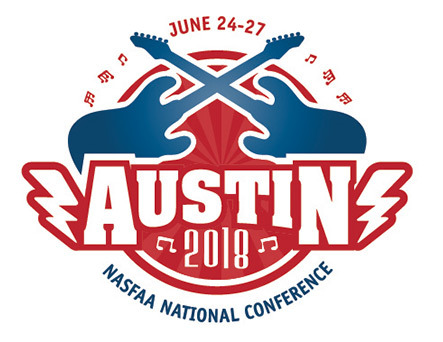 Take a look back at all of the great posts from #NASFAA2018 on social media. 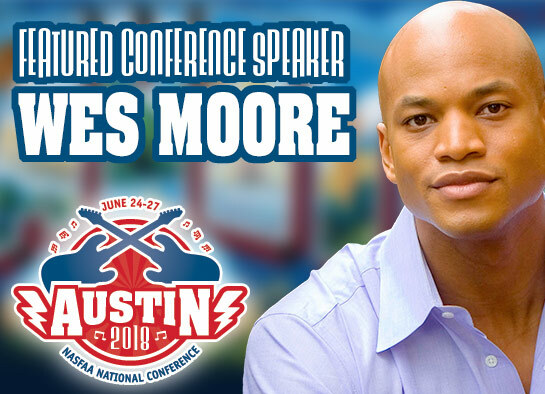 NASFAA was thrilled to have best-selling author, Wes Moore, as the opening session speaker. Austin was a gracious host. Let’s give back to the community by supporting Capital IDEA.